With the number of businesses and individuals building a website or blog online – or both – it’s no wonder the number of top level domains created each month has risen steadily over the last year. According to Whois Source, businesses and individuals purchased 138,520 Top Level Domains (TLDs) so far in July 2013. Your choice will depend on the type of site you need to build because each of the choices has its benefits and downfalls for every site type. Nevertheless, finding the right services that business owners need in a website usually means that a single solution prevails – custom development. CMSes feature fully functional website code, website builder functions, widgets, and a complete content and product management system on the back-end. CMSes are a good choice for building personal blogs, general business websites, multimedia websites, and eCommerce websites selling products and services. Because a CMS back-end is usually customizable, site owners can add functionality according to the type of website is needed. However, it is good to keep in mind that the specific widgets, features, site elements, plug-ins and other items that extend the site functionality will differ depending on which CMS you choose, and what you need specifically may not be available in all CMSes. Themes are available for each CMS, allowing design differences, as well as the ability to customize their designs even further using basic HTML, CSS, and other code types. The upside to customizing the sites in this way is that each system uses one or two code types, which makes it easier to learn if needed. Overall, while free CMS versions offer enough functionality for running a typical blog, the pro versions usually offer support and added functionality. Site builders offer users a system called “drag ‘n drop.” A drag ‘n drop website builder system allows users to choose the website elements they wish to add to the front end of the website, and then drag them to drop the elements into place. Because this type of system is created instantly using visual elements, site builders are often used by beginning website builders. 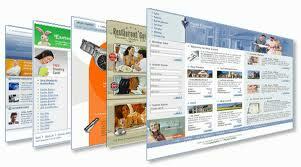 A website builder’s features and functionality will vary depending on the specific system in use. Website builders offer widgets and extensions for a number of site elements such as comments, social media integration, and video. All drag ‘n drop builders vary in the way that customizations are made using programming, while others do not allow customizations at all. The downfall to customization abilities is that using basic programming such as HTML and CSS are not always possible – because website builders are proprietary systems, the coding language is usually proprietary as well, and some are obscure and difficult to learn. In any case, drag ‘n drop site builders offer the basic building blocks everyone needs to build a basic website. Some site builders offer widgets and third party applications, but these tend to be limited to offering only basic features and functionality with free versions, while paid for versions typically offer different levels of features and functionality. The majority of businesses choose custom website development, because doing so offers a number of benefits that choosing a CMS or drag ‘n drop builder do not offer. Every detail right down to the font used in the copyright statement is yours to decide. Business owners tend to opt for custom site developers for one big reason, aside from design control, and that is the time saving aspect. This is because hiring a developer means you don’t have to spend your previous time worrying about anything, except telling the developer what you want. Whether that line of code you just wrote is correct, or whether the social media widget you added will work – leave that to the developers, as you have enough to do. When you are trying to figure out the best way to build your website, you want to ensure that you meet all of your customers’ needs, and make the process easy on you and your wallet. Though any of these choices are “doable,” deciding to hire a custom website developer could be the best decision you’ve ever made.